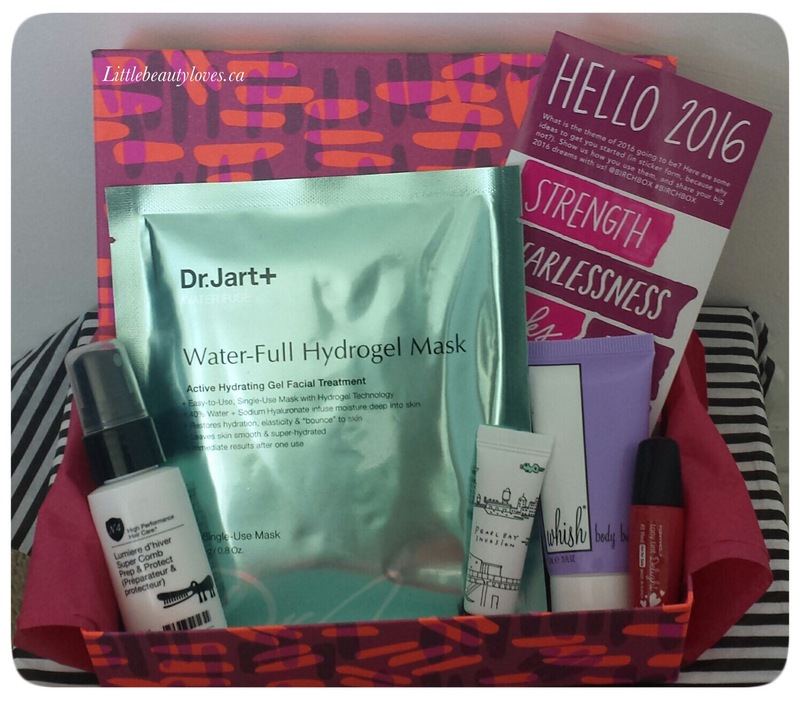 Birchbox is a monthly subscribtion box that introduces customers to different beauty items. You also collect 1 point for each dollar spent and every 100 points gets you $10 to use towards products in the Birchbox online store. They also offer a sample choice to switch out one of your samples with. This month is about making your own theme and starting off 2016 how you want to. The box reads “2016: The Year of ____” and you are given a sticker sheet with different positive nouns such as “strength”, “joy”, and “creativity” that you are supposed to place over the blank. 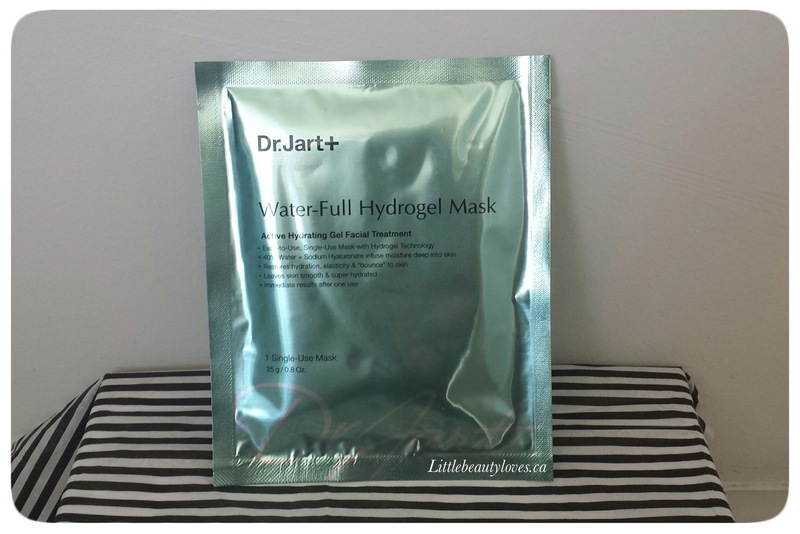 This sheet mask is infused with hyaluronic acid and is meant to re-hydrate the skin. Supposedly, you will see results after one use. 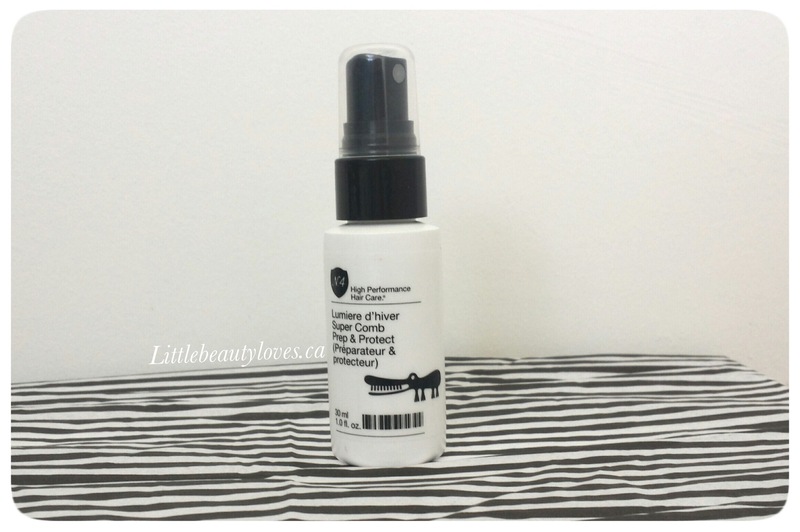 Other active ingredients include olive leaf extract and cranberry fruit extract. With the cold and dry weather here, anything that is hydrating to my skin is welcomed. This is a leave in-conditioner is made for all hair types. You spray it on to towel-dry hair and it helps to detangle it, as well as preserving colour and providing UV protection. Since I have really long hair, I find that it does tend to get more tangled lately so I will definitely give this a try and see if it helps. I like leave in conditioners, but I’m not really into this brand. I’ve received a few products now through Birchbox and the last shampoo I tried didn’t really do much for me. This red tint is very similar to Benefit’s Benetint in liquidity and and in colour. 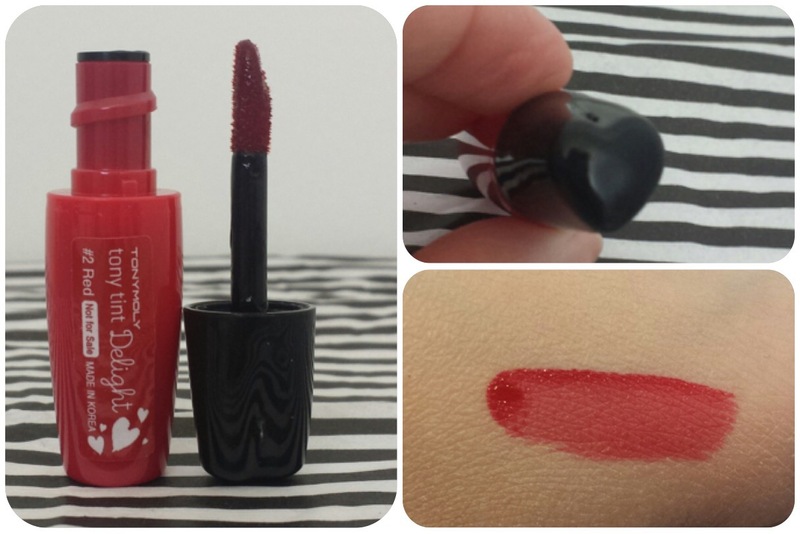 What I like about this one is how quickly it dries on the lips and how bold the colour is. I also appreciate the adorable packaging, I like this applicator wand and the black cap is in the shape of a heart. Whenever I’m on the the Birchbox website I always look and read about these product so I was very excited to have finally received a sample in my box. 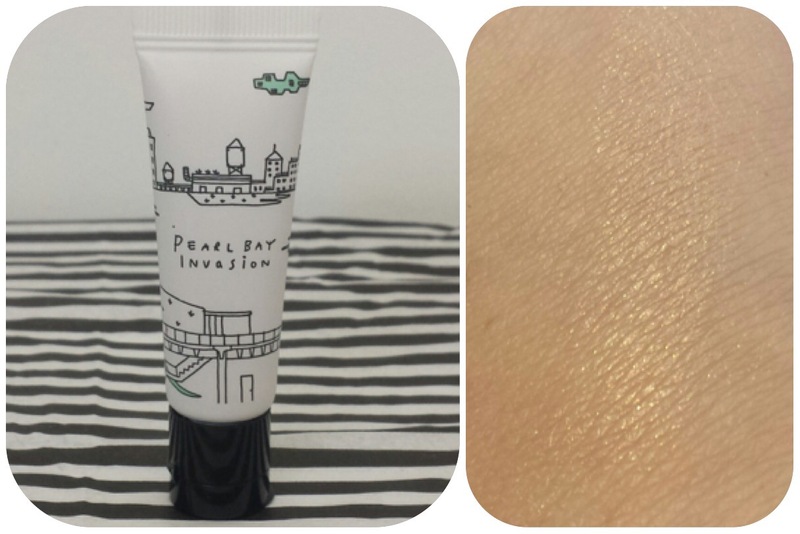 This illuminating cream has pretty gold specks that I think would look really nice in the summer with a slightly bronzed skin. I really like the light smell of lavender. I know that for some people lavender can be too strong but I think even they might like this because there is a very light, clean smell compared to a strong earthy smell (online you can chose between three different scents). 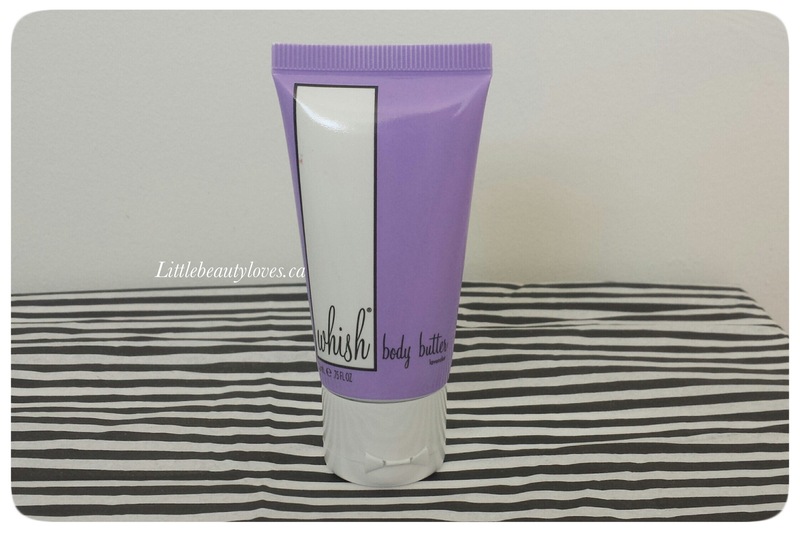 This is designed to moisturize, firm and purify. I am pretty happy with a lot of the products in this box because I really feel they will be good for the winter months. However, I am getting tired of all the moisturizers. I’m going to update my profile and see if that switches up the box for next month. Total value of this box is $44.48. This box is decent – it would have been nice to get more actual makeup items. I felt the same way so I did update my profile. I’m crossing my fingers next month is better.